Two very different ways of handling sudden downpours. Both enjoyable. We swapped cars for a few minutes and hooned on top of an empty parking garage. And now I want an STi. 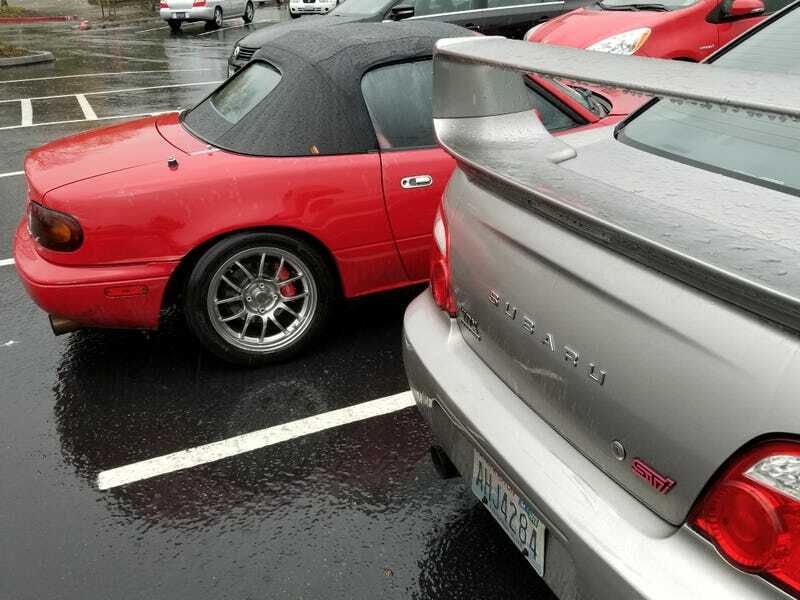 He’s looking at Miatas on Craigslist.